UCLA, Imperial College, ESCP Europe, RSM, WHU, IE, SMU, ESSEC, UC Berkeley, Limerick Univ., Alliance Manchester, King's College, NSU, Hult International, Bocconi, London Business School, Sciences Po, Univ. 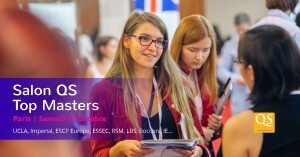 Kent, Cass Business School, LSE, UCL, KU Leuven, Lancaster, Ecole Hôtelière de Lausanne, BI Norwegian, St Gallen, Savannah School of Art & Design, GISMA, CUHK, Glasgow Univ., Univ. di Roma, Queen Mary London, Univ. Essex, Loughborough Univ., Minerva Schools - KGI, IÉSEG et bien d'autres!